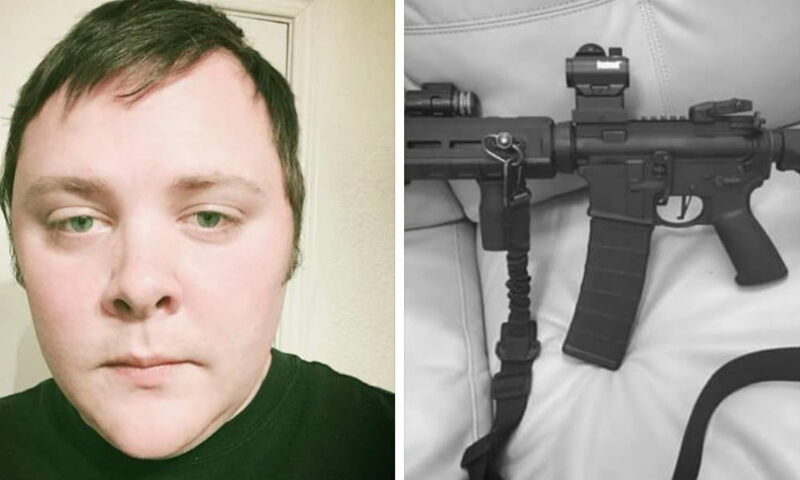 What Devin Patrick Kelley tells us about background checks is that they only work when the right data are in the FBI database. Is a potential common ground between Democrats and Republicans on gun control? The NRA is a great organization that trains people on safety, shooting and handling firearms. This organization is one of the most highly patriotic and important associations in this country. It is magnified by the number of members not the dollars used to influence political candidates and officeholders. Stephen Willeford is a hero because he was knowledgeable and courageous, he understood his own ability and used it to take down a violent criminal. However, Republicans, conservatives and libertarians have a reasonable expectation that the laws as they are currently written, allow law abiding citizens to justly and properly own weapons. We are in favor of only a few limits on gun ownership. We believe that given our right to own guns there should be a small but limited number of exceptions to the rule that an innocent civilian is permitted to own whatever weapons they choose. These exceptions are found in our current gun laws. Rather than loosening these restrictions, we want them properly enforced. The class of people that are not allowed to own a firearm must be clear. And the method to prohibit purchase must be applied across the board. The background check that determines the qualification to own and carry a weapon is housed in an FBI database. It takes less than 20 minutes to complete the form and another few minutes to run this federal background check. Yes, it is possible that people who would not pass the background check can buy guns in private “hand to hand” sales. It is illegal for someone that would not pass the check to get someone else to buy a gun for them. Individuals who have violated laws prohibiting them from owning weapons should not be able to purchase a gun through a Federal Firearms License (FFL) licensed through the Bureau of Alcohol, Tobacco, Firearms and Explosives (ATF). Federal law prohibits the purchase and possession of firearms by people who fall within certain categories, such as convicted felons, domestic abusers, and people with specific kinds of mental health histories. The Giffords Law Center wants to expand these categories. We say, no. Like immigration law, the government should enforce the laws on the books! We don’t need more laws. We need to follow the laws we have. You should not own a gun: a) if you have a felony convict with is usually grounds for incarceration for at least 12 months b) if you’ve been dishonorably discharged from the military – a designation that needs to be used properly c) if you have a history of mental illness and incapacitation due to psychological problems. These three categories are considered appropriate limits on an individual’s right to own a firearm. In the same way, an individual is limited in their free-speech. You cannot make statements to insight a riot or direct threats of violence towards another person. Now, this scenario gets sticky if the Trump administration pursues a line of regulatory and legal reform. Trump can follow on the recent proposal by John Cornyn to pass a specific law that would promote data from federal, state and local databases to the FBI background check database. This provision is for commonsense legislation should pass quickly. A federal database needs to be built upon good data coming from all sources down to the local level as quickly as possible. If we accept that an FBI background check is legitimate and serves to make it more difficult for criminal and potential mass murders to get weapons, then there will be information sharing. There’s no question if we expect the federal database to work, then we have to have the best data uploaded. A database is only as good as the data in it. GIGO: garbage in garbage out. So, Trump reforms the FBI database. Legislation allows more data to be promoted to the FBI. We go back through US Airforce and military records to determine who should be prohibited from having a gun. We upload that to the database. Then what happens? How many people have obtained a weapon when they should have been prohibited from doing so? We may have anywhere from 10-20,000 men that should not own a gun. If the federal database shows that they’ve run a background check for a purchase of a gun through gun store or gun show, what we do about that? How do we handle those people? Do we need to send in the ATF, FBI and local SWAT? Who is going to confiscate guns from those people? It may be necessary. This is an uncomfortable thing to do because those men are also likely to fight back. But they’re the guys that shouldn’t have a gun legally. Right now. And we may need to put our money where our mouth is, and get the police and feds to step up and shut these people down. Do we arrest and hold them under the suspicion of illegally owning a firearm and then search and confiscate weapons? We have every serial number of a legally purchased weapon. But, I’d expect that people in the same house, women and young adult children, could claim that the weapon is theirs. This is a hard thing to deal with. But, would it be worth doing some hard things to prevent one more evil shooting like that in the First Baptist Church of Sutherland Springs, Texas?